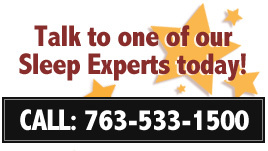 We carry the highest quality Latex Mattresses available today. Experience the difference that a 100% Pure Talalay Mattress by Latexpedic makes. Made from the milk of the rubber tree, this natural latex is free from synthetic chemicals and has numerous benefits in a sleep product. The elasticity and resilience of natural latex is unsurpassed. Natural Latex has an inherent ability to conform to your body, reducing pressure on your muscles and improving circulation. Flexible, breathable, hypoallergenic and durable, it makes a perfect material for those looking for a long lasting mattress with incredible pressure relief. Available in Soft, Regular Firm, Extra Firm, & Ultra Firm. 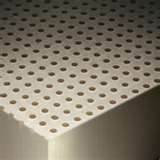 Talalay Latex is 4X more breathable than polyurethane, memory foam, or dunlap latex. Ideal for allergy sufferers! Naturally hypoallergenic, dust mite resistant and antimicrobial, inhibiting the growth of bacteria, mold and mildew. Supportive - The Talalay latex mattress is 3x more durable than Dunlop process latex.